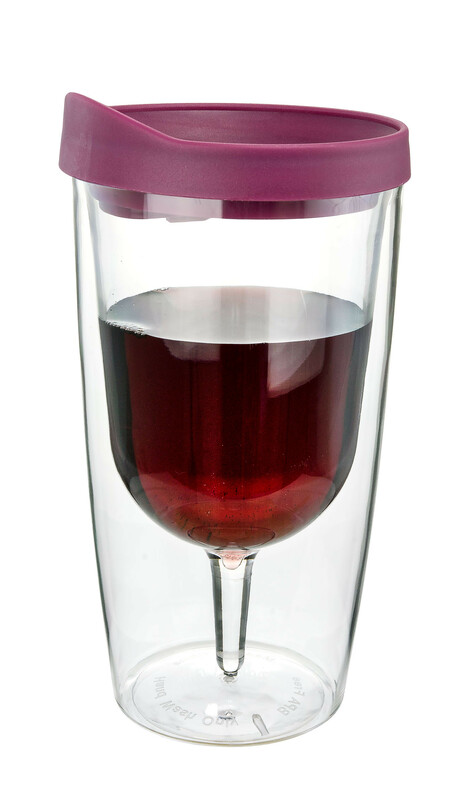 Not to mention that your new favorite on-the-go wine tumbler comes complete with a merlot lid that helps you keep your Rose and White Wines cool and refreshing! And the chances of a party-ruining spill? - Forget about it! Tumbler comes with a merlot (red) colored lid. Dishwasher safe. Overall dimensions are 3 x 3 x 6". Includes one tumbler.